Google Starts Limiting Search Ads on Addiction Treatment Queries | ASTRALCOM - Content Strategy, Conversion Marketing and Customer Acquisition. Google has begun to restrict the display of ads related to narcotics and alcohol abuse treatment facilities. With this restriction, many rehabilitation centers have been directly affected. Essentially, around 40% of ads for searches which these types of facilities target have nearly disappeared. This includes those targeting keywords such as “drug detox,” “drug rehabilitation,” and “drug treatment programs.” However, some other ads associated with rehab facilities are still visible. Ads targeting key phrases such as “addiction assistance” and “addiction rehab” continue to show as of this writing. This move by Google has left many reputable treatment facilities facing considerable uncertainty. Online visibility and traffic generation efforts have taken a hit with this new measure. Nevertheless, organic search results have not been affected at this time. Google has justified this decision by citing the ever-increasing opioid addiction crisis in the US. The opioid crisis has triggered a huge demand for treatment options. The relative lack of regulation in this field, along with insurance company mandates, have created an environment that can be negatively exploited. Read the full article on Search Engine Land’s site. This is not the first time this online giant has restricted the display of ads related to certain paid search keywords. For instance, it did this to prevent disreputable locksmiths from having their ads appear. Google also banned payday and high-interest loan providers from using Google Adwords. 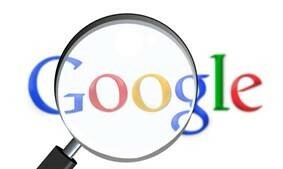 Google has stated that its primary objective is to ensure that consumers will access reputable resources. Unfortunately, many legitimate drug and alcohol rehab facilities have been placed in a challenging situation. The display of ads for the above-listed search phrases could be restricted indefinitely. However, it is likely that Google will develop an alternative solution as was done with the locksmith issue. That was solved by implementing a verification process and establishing a new ads category called Home Services. At ASTRALCOM, we strive to stay ahead of the curve regarding Google updates and algorithm changes. There are many ways that you can improve your company’s online visibility, brand awareness, and develop trust and increased engagement with your target audience. Contact us today to learn more about the many ways we help our clients to achieve solid results.